This is a game between two teams who have players missing, which is always something that can throw the plans of Euroleague enthusiasts. Jamel McLean is a massive loss for Alba while Cliff Hammonds remains a doubt. Galatasaray are currently without a fit point guard and they have been turning to youngster Kristjan Nikolov and Justin Carter to fill the void. With Berlin having notched an average of 72.9 points per game this season and Galatasaray having grabbed an average of 76.9 points per game, the advantage lies with the away team going into this one, but it is Berlin who have the stronger record. Alba holds an 8-12 record this season, made up of a 4-6 record in the regular season and then a 4-6 record in the Top 16. While their Turkish opponents picked up a 4-6 record in the regular season, their current record of 2-8 in the Top 16 means that Galatasaray’s overall record is only 6-14. The absence of Jamel McLean remains a sore point for Alba Berlin and he will be a big loss for the German side. McLean is the top points scorer for the team and he has grabbed an average of 14.0 points this season so far while also offering up an average of 5.4 rebounds per game. Alex Renfroe has also been a key player for Berlin this season and he will need to be at his best to drive the team on. He currently has an average of 4.9 assists per game this campaign. For Galatasaray, the top man remains Zoran Erceg. Erceg has managed to deliver an average of 15,1 points per game this season but he is far from being the only key man in Galatasaray colours this season. Kerem Gonlum has been in excellent form with an average of 4.6 rebounds per game this season and Carlos Arroyo has provided an average of 4.3 assists per game this season. Alba are currently second in the German league with a 22-4 record, sitting one place behind Brose Basketball who have a 22-3 record. Alba’s most recent domestic game was a Saturday win in Overtime by a score of 86-83 against TBB Trier. Galatasaray are currently in fifth place with a 13-9 record in the Turkish league, trailing league leaders Fenerbahce Ulker who hold a 17-5 record. The most recent domestic game for Galatasaray was a narrow 64-65 away win against Besiktas. The bookies are strongly favouring the home team in this one even without the influential Jamel McLean. 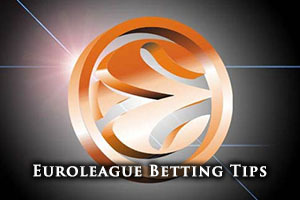 You can see why, it has been a poor time for Galatasaray and taking Alba Berlin with a -10 handicap, at odds of 1.90, is a decent bet for Thursday evening. If you want an Over/Under bet, choose OVER 151.5, at odds of 1.90. These bets are both available from Bet365, but also from most of our other recommended sites. If you are keen to watch ALBA Berlin v Galatasaray Liv Hospital Istanbul live on Thursday the 18th of March, we can help.